The door is usually the largest and most prominent part of your garage. So it is beneficial to make sure it attracts someone’s attention but in a good way. There are many different types of garage door materials you can use to update your door, such as aluminum (one of the most popular materials), vinyl, and wood. It can become noticeable when the paint starts to chip away on the outside of your house or garage. Put some time aside to touch up your garage by adding a new shiny coat when the weather gets warm in the spring. The color does not have to be a bright or vibrant. As long as it looks professional, you are off to a great start. 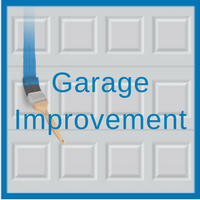 In some cases, your garage could be in good shape but could use some simple upgrading and maintenance. You could add a new touch pad, a new door lift, or remove small dents on your garage door. The lights on the outside of your garage compliment the entire appearance of your structure. You want to keep in mind how the fixtures match the color and material of your garage. Updating the lights can enhance the cosmetics of the outside of your home as well. Installing an updated floor can create a whole new look for your garage. Most garage floors are made of concrete, so you can buy different stains and seals to protect the material. Your garage just might need a little extra love, or it may be in need of a complete makeover. Either way, it is important to keep these tips in mind when are you planning to improve your garage appearance. For more information, please call us at 630-852-8485 or contact Blue Sky Builders about your next garage needs today. 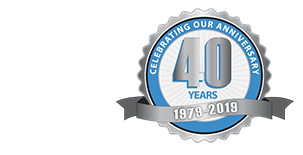 Our team of experts is here to help you with any garage-related project.